Baby’s breath-speckled deli bouquets. Saccharine heart-hugging teddy bears. Polyester lingerie. Let’s face it: Valentine’s Day can be pretty tacky. And most heart-themed nail art falls somewhere on the not-so-sophisticated spectrum. That said, there is a chic way to do festive fingertips on February 14. 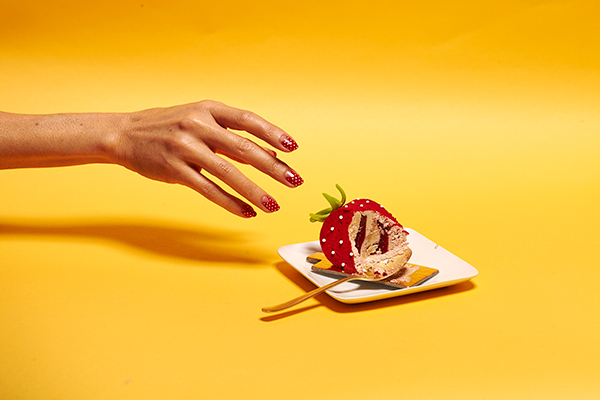 Retro Grade, the latest mani of the moment from the NYC’s beauty editor beloved Paintbox nail art studio is a non-literal nod to Cupid — and you can do it at home if you can’t pop in for an appointment. 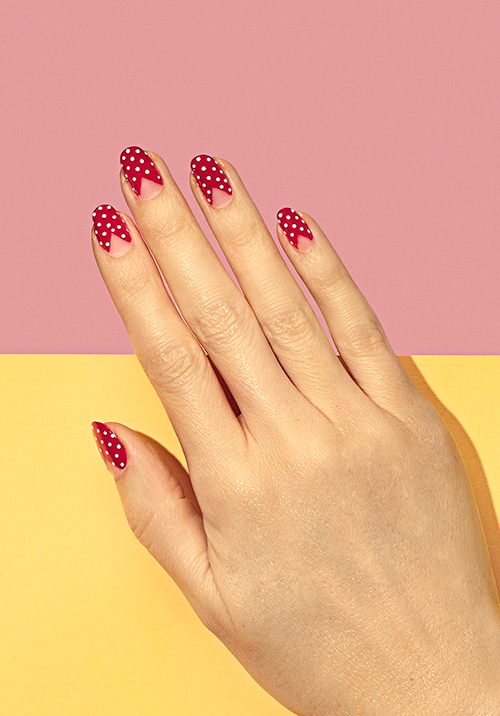 “For Valentine’s Day, we wanted to create a feminine look that is both romantic and retro - the white polka dots add that touch - while the triangle of negative space at the moon keeps it looking modern,” says Paintbox CEO and founder Eleanor Langston. 1. 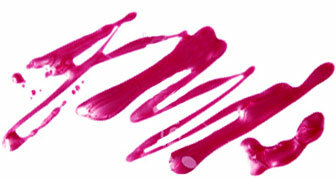 Apply base coat to the entire nail. 2. Apply painter's tape in the shape of the triangle at the base to block off the area reserved for negative space. 3. Paint the nail to the edge of the tape with your color of choice (red, pink, and white are all cute for Valentine’s Day). Paint another coat; let it dry for about five minutes. Clean up the triangle with an angled eyeliner brush dipped in an acetone-based polish remover. 4. Dip a dotting tool in an opaque white polish (such as Essie Blanc), and create three to four vertical columns of dots. Start in the center vertical line and then work towards the edges. Try to space out the rows of dots in an alternating pattern. 5. Apply top coat to the entire nail once the dots have dried. If you lack the non-dominant hand dexterity to do it yourself, head to Paintbox (17 Crosby Street, NYC; @paintboxnails) between now and February 15 to have a pro do it — and consider it a token of love to your awesome self.